Fiscal Year 2008: See annual work plan at http://www.lcrmscp.gov. John Swett, MSCP Program Manager, PO Box 61470, Boulder City, NV 89006, Telephone: (702) 293-8555. The planning area for the LCR MSCP is defined as areas up to and including the full-pool elevations of Lakes Mead, Mohave, and Havasu and the historical floodplain of the Colorado River from Lake Mead downstream to the Southerly International Boundary with Mexico. The planning area provides habitat for Covered Species listed as endangered or threatened under the ESA; additionally there are region specific species that are inclusive of this program. Visit http://www.lcrmscp.gov for specific information. State (includes District of Columbia, public institutions of higher education and hospitals): Natural Resources (mineral, water, wildlife, land). Local (includes State-designated lndian Tribes, excludes institutions of higher education and hospitals: Natural Resources (mineral, water, wildlife, land). Other public institution/organization: Natural Resources (mineral, water, wildlife, land). Individual/Family: Natural Resources (mineral, water, wildlife, land). Other private institutions/organizations: Natural Resources (mineral, water, wildlife, land). 12372, "Intergovernmental Review of Federal Programs." An applicant should consult the office or official designated as the single point of contact in his or her State for more information on the process the State requires to be followed in applying for assistance, if the State has selected the program for review. All applications will be initially screened for eligibility and compliance with the requirements stated in the program funding announcement. Applications passing this screening process will be forwarded for review by the proposal evaluation criteria, and any additional review factors, as stated in the funding announcement. Final selection will be determined by the Commissioner, Bureau of Reclamation, or regional officials, as applicable to the project. American Recovery and Reinvestment Act of 2009, Public Law 111-5; Omnibus Public Land Management Act, Title IX, Section 9401, Public Law 111-11. From 60 to 90 days. Deadline information will be included in all funding opportunity announcements posted on www.grants.gov. The range of approval or disapproval time is 90 days. Final award decisions are not subject to appeal; however, the Bureau of Reclamation will provide all applicants with information on why their proposals were not selected for award. Projects are generally awarded for 1 to 3 years. See the following for information on how assistance is awarded/released: No information provided. Periodic financial status and performance progress reports, final reports, and significant development reports as specified in the agreement terms and conditions. 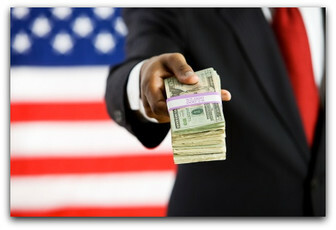 Projects funded under the American and Recovery and Reinvestment Act of 2009 will have additional reporting requirements as described in the terms and conditions and announcement packages at www.grants.gov. (Cooperative Agreements) FY 08 not reported. ; FY 09 est $725,000; FY 10 est not reported. $100,000 to $500,000; Average $725,000. Code of Federal Regulations (CFR) 43 CFR 12 and applicable Office of Management and Budget Circulars. See Regional Agency Offices. John Swett, MSCP Program Manager, PO Box 61470, Boulder City, NV 89006, Telephone: (702) 293-8555. Need to meet LCR MSCP requirements for implementation of conservation measures outlined in the Habitat Conservation Plan. This can be found at http://www.lcrmscp.gov. For ARRA funded projects: The purposes of the Recovery Act are, among others, to quickly and prudently commence activities that preserve and create jobs and to promote economic recovery, and to invest in transportation, environmental protection, and other infrastructure that will provide long-term economic benefits. To meet these purposes, Reclamation will allocate funds based on the criteria set forth in the Recovery Act and the accompanying conference report, and will target activities that quickly infuse money into the economy.